Afternoon there, hope your Tuesdays going well. 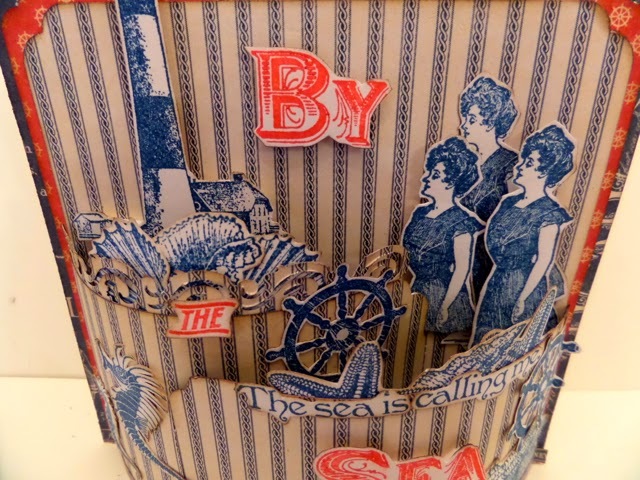 I've been making cards this week, and decided to challenge myself to make a card using all of the By the Sea stamps from Set 1 that go with the By the Sea paper collection. I love the colours in this collection. 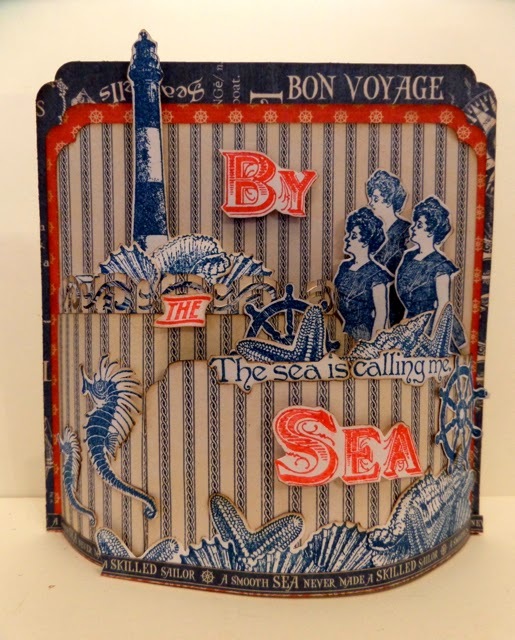 I used Sea Salt paper for the main structure of the card and stamped the images onto cream card using Nautical Blue Memento ink and then pondered over what sort of card to make. 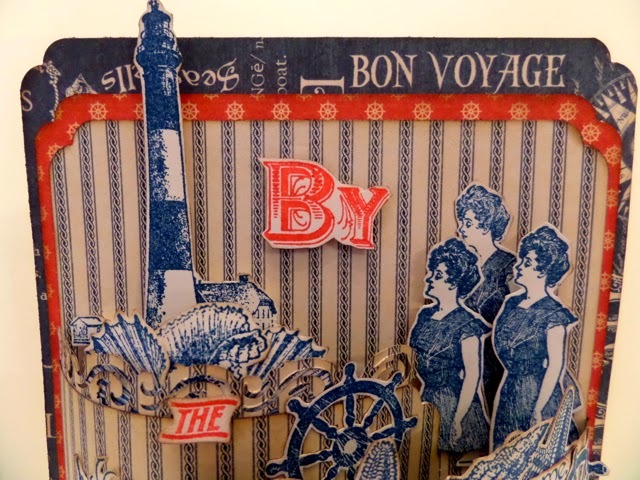 Having never made one before I decided on a Bendy Bon Voyage Card. very cute card Clare!! We don't have that paper in yet but will be happy to see it!!! Love all your things and now I need to get busy and start working again. Got lazy after our 3 day scrapbook retreat!! Love your card Clare. The colors are fab. Morning Clare, Woweeee !! 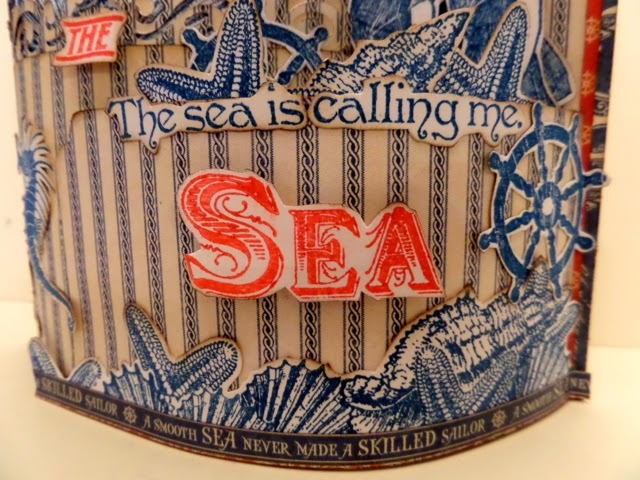 a gorgeous card, lovely nautical theme and fabulous colours, always crisp and clean looking and so vintage all at the same time. I'm loving the 'bowed' frontage. Good Morning Clare and I'm just loving this card, particularly the shape. 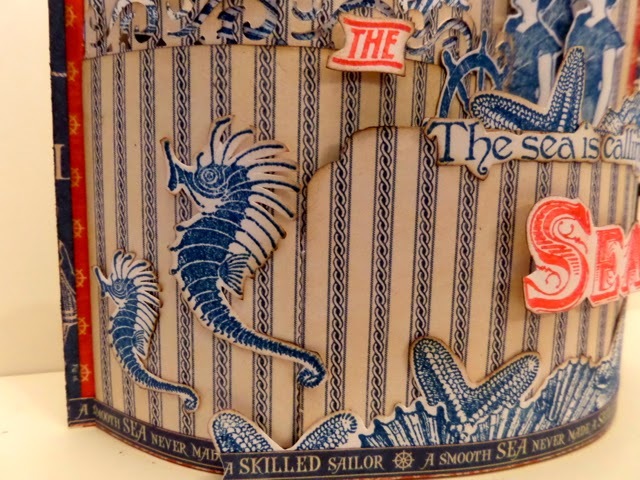 I'm really looking forward to tomorrow's show on Create & Craft as I should love to get my hands on some of the By the Sea papers. I see that your show is due to start at 08.00 a.m. so there goes my "lie-in". Never fear I shall be on the sofa with my first cup of coffee in hand ready for everything you have planned for us. Thanks for sharing this project with us and I hope you enjoy the rest of your day.